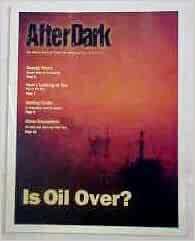 Most of here have probably seen the pdf copies of the After Dark newsletters from 1995. I know that, if I had a subscription in the 90s, I would've enjoyed the newsletters. It was around the time that I and my friends were all really into The X-Files. Maybe one day whoever has the issues, maybe whoever was affiliated with CBC or Premiere, would digitize all the newsletters up until it stopped being printed in 2011 (i believe). Fat chance, but it'd be a good gesture since it does nothing for them to keep them. Of course, that is if they even have copies anymore.